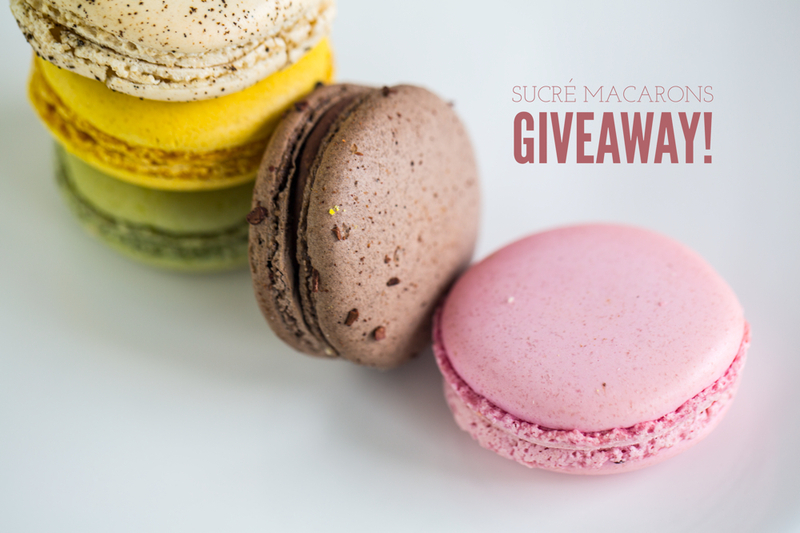 In honor of sweet mommas everywhere, New Orleans confectionary, Sucré, is giving one lucky Love+Cupcakes reader a box of their famously delicious macaroons to share with mom (or to keep all to yourself!…don’t worry, I won’t tell!). 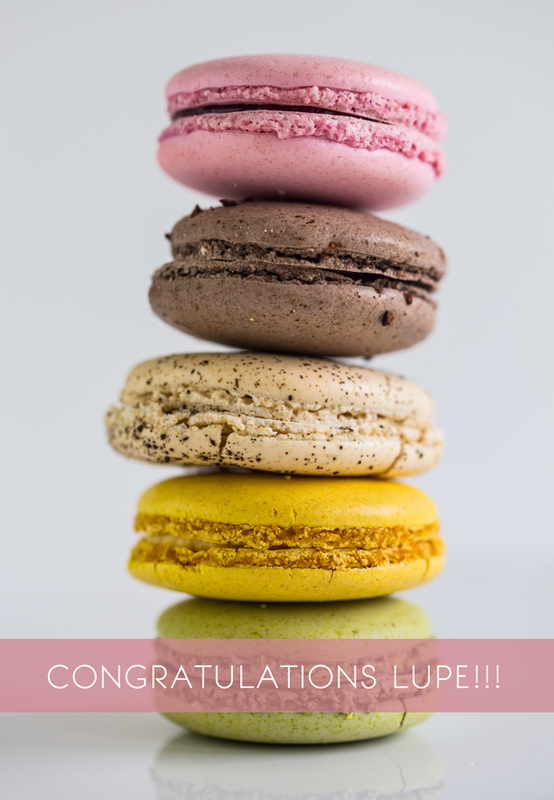 Visit Sucré’s online macaroon shop here, and leave a comment below telling us something sweet about your momma – how you’re honoring her this Mother’s Day, a favorite memory, the sweetest thing she’s ever done for you… ANYTHING! Just make sure it gives us a toothache! One of you will be chosen at random on Wednesday, May 8th. BONUS! If you like Love+Cupcakes on Facebook or follow me on Twitter you’ll be entered for a second chance to win! Good luck! Thank you SO MUCH to all who entered and shared so many touching stories– some fun, some inspiring, and some tear jerking. I really appreciate you playing along and sharing your mommy stories. Have a Happy Mother’s day with your momma, your kiddos, or both! AND NOW FOR THE WINNER………. Lupe Ballin!! p.s your last name is RAD! My mother and I are very similar in that we are both kinda crazy! We are wild and adventurous and somehow each of us married the biggest scaredy cats ever! I had been skydiving once with one of my friends, and after my mom saw the video – she got the itch! She told me she wanted to skydive but to keep it on the hush because Dad couldn’t find out – he would kill her, with me probably first! So, I did what any good daughter would do. Took my mom skydiving on mother’s day. We lied to my dad, said I was taking her on a “spa day” and that we would be back in time for dinner! So we bolted on a long drive out to Perris. The whole time in the back of my head I thought she would chicken out but she was totally with it. We got in the plane, strapped up with our instructors and I just kept sitting there thinking okay last minute, she is not going to jump. Before I knew it, the doors were open the wind was blowing and I just watched my mom fall out of a plane. I can’t even tell you the feeling and nerves I had. Its one thing if I hurt myself doing something stupid – another if I hurt my mom! Soon after I jumped and fell as quick as I could to reach the bottom before her. I wanted to see her reaction and not miss a thing. As soon as she landed we rushed up to each other and gave each other the biggest hug. It was amazing to see her smile, to have pictures commemorate it and to be there for it. Best mother’s day ever…well that is until we got to our phones. It was late, dad was blowing us up asking where we were. She called him, while still on cloud 9 to tell him we jumped. And all I could hear through the phone in Arabic was “WOMAN ARE YOU CRAZY!?!? !” we showed my dad the video when we got home and he was less than enthused. Probably didn’t talk to me for a week and was CONVINCED that I talked my mom into it. But anytime it comes up, my mom lights up when she talks about it. She smiles as if it was that same day, that same landing, that same hug. Its always makes me smile, laugh and be super proud – because my mom is friggn awesome! When my husband and I were living in Tokyo, Japan we had our first child. Near the end of the pregnancy, my mom flew from Minnesota to Tokyo and stayed there with me for 5 weeks. She was able to manage getting to the grocery store on her own, and ended up running lots of other errands for me that can be very difficult for someone who has never been to Japan before. Sweetest. My mom is helping me raise my own baby. And I am grateful to her every single day. My mom is my best friend. She is always there for me, even when I am stressed and crabby. I am currently moving from my home that I have lived my whole life to go with her and my stepdad to a different state because I can’t think of a day I would want to go without seeing her face or giving her a hug or just hanging out with her. My mom is the most wonderful mom on earth. She was a stay-at-home mom for the first 10 years of my life, and after that, decided to go back to work and currently helps special education students with their speech and development. She is just great! My mom supports me in so much – even when I scare her! She let me start canning – I was probably 14 – when she had never canned before. Apparently that scared her. In all my food/health journeys, she has been the one I go to, who I talk to the most about what I’m learning/thinking/planning. I’m so thankful for her support when I want to try things that she would never do. (And that’s just the tip of the iceberg!) Love you, Mom! My mom is so awesome when I came down with the flu she took the time out of her day and missed six days of work just to take care of me. She is always giving me encouragement and great advice and tells me anything is possible as long as you believe and dream! my mother is the most inspirational woman i know! she ran an incredibly successful business for years and used her leverage in the corporate world to dedicate her time and knowledge to helping women everywhere succeed! she sincerely uses her powers for good and inspires me every day to be a strong woman and a good person. My mom just came for Mom’s weekend at my university. Because I had so much homework to do (engineering classes) she was totally ok with just sitting in my room reading her book while I got stuff done. My mom gave up a lot so that she could be a stay-at-home mom and homeschool my brother and I all the way from kindergarten through high school. I’m married now, my mom still provides me with so much encouragement and inspiration! She’s the best! Best memory with my mom is the time we took my youngest niece and her friend (both about 13 at the time) to go paddle boating while camping. My niece and her friend were racing circles around us and went much further out in the lake, while my mom and I dealt with a broken boat. The boat was so lop-sided that she was sitting in the water the whole time and all we did was go in circles just feet from the dock, laughing our butts off. We all ended up laughing so hard I’m surprised someone didn’t wet their pants. I seldom have good memories about my mother these days due to her increasing instability from mental illness, so I cherish that day, both for laughing with her and my niece during her worst teenage years. The fact that she left her career to care for me through all the good and bad times is inspiring. I remember when I realized I didn’t submit a school book order for a copy of a book we were supposed to read in class, so I was worried sick (literally) that I’d get in big trouble in school for not having the book. I finally confessed to my mom, and she found a copy of the book at the nearby library and saved the day! My mom passed away six years ago and every single day I still miss her. After having my own kids, I appreciate all she did for me and then some. She was seriously the kindest person I’ve ever met. 1) After she had some procedure done (I think it was an internal scope of her stomach?) that made her very groggy, I was sitting with her on the couch eating crackers and watching TV. Without saying anything, she reached up, pulled a cracker out of my mouth as I was about to bite down, and ate it. When I told her about it later (because she didn’t remember) she felt TERRIBLE. She said she couldn’t believe that she had “taken food out of her child’s mouth”. I thought it was hilarious. 2) She has recently gotten a facebook and a) posted a picture on my wall that says “Like if your daughter is the most beautiful thing you have ever created” and b) when she and my best friend became friends I ‘liked’ the friendship and when she saw in her notifications “Danielle Smogard likes your friendship” she thought that it meant I liked that she and I were friends. There are countless other stories about her sincerity, compassion, and general loveliness that I could post, but I thought these two showed particularly well how cute and loving she is. And her favorite scent is lavender…I’m sure a box of white chocolate lavender macaroons would make her Mother’s day! Love your blog and thanks for doing this sweet things for mothers! My mom is one of the most wonderful woman in my life and has taught me so much. She’s being my constant supporter especially when I didn’t believe in myself and has helped me find my own way. My mom is the best (sorry, everyone else). She has always supported me, no matter what, and she has given me a wonderful example of what a godly woman looks like. I hope I’m just like her! After my parents got divorced when I was young, my mother stopped calling and soon thereafter the cards stopped as well. My dad ended up remarrying years later. But what makes this story even sadder, is that when I moved away for university, my stepmother did the same. No calls, no texts, no emails. Luckily this past year I got married to a wonderful man who’s mother couldn’t be any sweeter. We currently live in separate countries (She’s in the US), so we make sure to call each other every few days to see how the other is doing and just to chat about current events. She is an older lady with a form of leukemia so I truly cherish every phone conversation and smile that I hear through the phone. It’s been a long time since I’ve felt a mothers love and I truly feel blessed that this woman has given me another chance at love. My mom was the best cook that ever walked the globe, hands down – the best. This was in the New Orleans of the 1950s and 60s too (where I grew up – just around the corner from where the Sucré shop is now actually. It was nothing so elegant then, just a block of little shops). Anyway, my mother taught me how to cook, and when I was in my teens she would (with an absolutely straight face) claim that I was the best cook and had the best instincts in the kitchen and was a true artist and … blah, blah, blah – all lies of course, bless her heart, but she gave me the most fantastic confidence in the kitchen that sustains me even now that she is gone. I’ll try anything once. That said, macrons are damn hard; I prefer to leave them to the pros. I like you on facebook (where I am Margot Core) and follow you on Twitter (as @AnnaZed) too! Thanks Margot! I’ll make sure you’re entered TWICE!! xo! Very cute! My mother-in-law does the same for us. So sweet! My mom’s coming to see me for the weekend and we’re going to make brunch together because that is the most fun way to do it! They look so good!! I wish I knew how to make them. Sucre Macaroons are soooooo good! Definitely a sweet date spot! My mom was a darling person, so every year on Mother’s Day I make something sweet to honor her memory. She died on May 12, almost 20 years ago, and this year Mother’s Day falls on the same day. It’s happened before and I know that I have to really celebrate her and not let myself get down on such a heavy anniversary. The answer is carrot cake. Mom loved it! This is my first year as a vegan, but luckily the internet is here to help me with an adjusted recipe. I also buy sunflowers or splurge on yellow roses, her favorites, and put them in the middle of my studio to enjoy. If I won the macaroons (another of my mom’s favorites, AND she used to live in Nola! ), I would give them to my “fake-mom,” a lady I met long ago who has taken me under her wing and done supersweet “mom things” for me over the years. She is not vegan and would enjoy them! Happy Mommy’s Day to all. Love your mothers, real or “fake,” and enjoy the time you share with them. My mother is my best friend. She is the one I can always count on to be brutally honest, endlessly supportive, and real with me. When I had my first real heart break she slept in bed with me for a few days, fed me and allowed me to cry. Then pushed me into the shower, told me enough was enough it was okay to be sad she did not ever want to hear me put myself down again. She helped me work up the courage to join the Peace Corps and furiously argued my beliefs against the naysayers of the family even though she cried the whole drive to the airport. I would never have grown into the person I am today, taken the risks I have, or achieved as many goals without her strength and reassurance, she is my absolute rock. Also liked you on facebook! I know, I know – it’s like in the Mothers handbook to be selfless when it comes to your child – but, still to this day, I’m always marveling at the extent to which mine will go to make sure I am happy. This giving nature of my mother, of many mothers, is something that can never be thanked enough.